Michael W. Belin, M.D. is a board certified, fellowship-trained ophthalmologist and Professor of Ophthalmology & Vision Science. Dr. Belin was instrumental in the development of laser vision correction and served as a core investigator for the VISX laser. Dr Belin has been performing Laser Vision Correction surgery since the 1990’s and is considered an international expert in the field of Refractive Surgery. He developed the software (corneal tomography) utilized to screen refractive surgery patients currently in use by the majority of TLC centers. When you select Dr. Belin you can rest assured that you will receive the benefits of an international authority in laser vision correction performed in the warm environment of the local TLC Seattle laser center. Dr. Belin attended Northwestern University (Evanston, IL) where he majored in Bio-Medical Engineering and received his medical degree from the University of Medicine and Dentistry of New Jersey – Rutgers Medical School. He completed his internship and residency at the Albany Medical College and furthered his education with specialty fellowship training in Cornea and External Diseases of the Eye at the University of Iowa. He subsequently completed (by invitation) a traveling fellowship from the Royal College of Surgeons of England Foundation and was the first Ophthalmologist ever selected. Dr. Belin is Professor of Ophthalmology & Vision Science at the University of Arizona, an Adjunct Professor of Ophthalmology at the Albany Medical Center Department of Ophthalmology, at the University of Ottawa (Ontario, Canada) and an Honorary Professor at the Northern Military Hospital in Shenyang, China. He is a fellow of the American Academy of Ophthalmology and the Royal Australia & New Zealand College of Ophthalmology (RANZCO). Dr. Belin is an internationally recognized authority in the field of refractive surgery and has published or presented over 400 scholarly papers. Dr. Belin is a frequent guest speaker at most major ophthalmic meetings, having been an invited speaker on Laser Vision Correction in many countries including Australia, Bahrain, Brazil, Canada, China, Columbia, Denmark, England, France, Germany, Hungary, India, Ireland, Israel, Italy, Japan, Korea, Lebanon, Monaco, New Zealand, Netherlands, Russia, Saudi Arabia, Scotland, Singapore, South Africa, Spain, Sweden, Switzerland, and Taiwan. Dr. Belin has also been featured on ABC, CBS, NBC and FOX television as an expert in Laser Vision Correction. 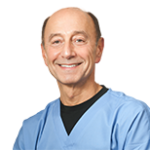 He has served as a consultant to VISX, LaserSight and Chiron-Technolas (laser manufacturers), and is a VISX certified trainer (trains other physicians in the use of the VISX excimer laser) and a LASIK instructor. He served as a consultant and principal investigator for two laser manufacturers and has served on the FDA Ophthalmic Device Panel and Drug Panel as a special government consultant. Dr. Belin co-authored the instructional manual for the VISX laser and the MORIA (surgical instrument utilized to make the LASIK flap) and has written a textbook on Corneal Imaging (Tomography). Dr. Belin was awarded the American Academy of Ophthalmology’s Honor Award in 1988, received the prestigious Senior Honor Award in 1998 and a life-time Honor award (an honor bestowed on less than 1% of all ophthalmologists) and the Secretariat Achievement Award in 2002 and again 2008. Dr. Belin was past President of the Cornea Society and currently serves as its Vice-President. Dr Belin serves on the editorial board of the International Journal of Keratoconus & Ectasia, The Saudi Journal of Ophthalmology, and the Asia Pacific Journal of Ophthalmology. He is currently the Vice-Chairman (Chair-elect) of the American University Professors of Ophthalmology Fellowship Compliance Committee which oversees Fellowship training in the United States.